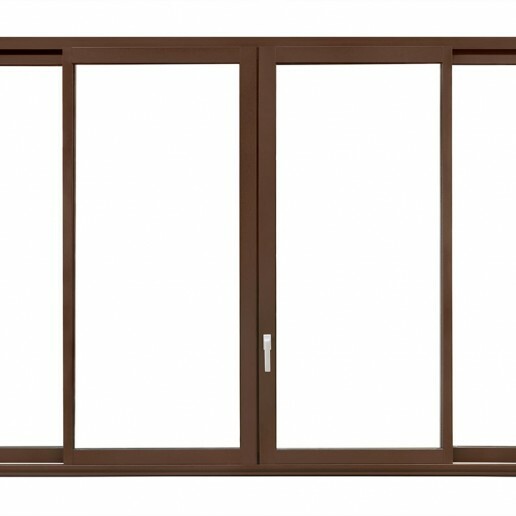 This type of windows could be considered as the innovation in windows production. These new lines could have high performances and they are the result of important projects and developments, in order to propose always innovative products. 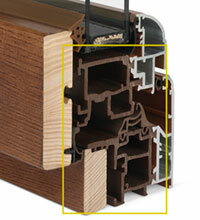 I NOBILI is the 1° producer to use intermediate insulation profiles in ABS for constructing windows. 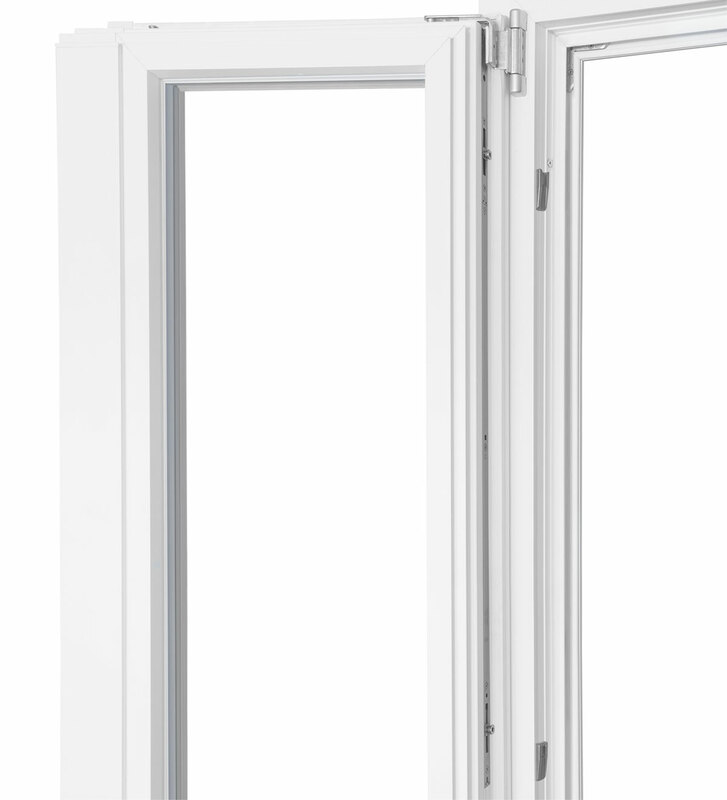 These new windows are characterized by intermediate isolation profile in ABS. 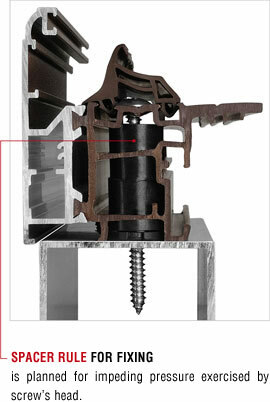 Our company is the first that produces this ABS profile. 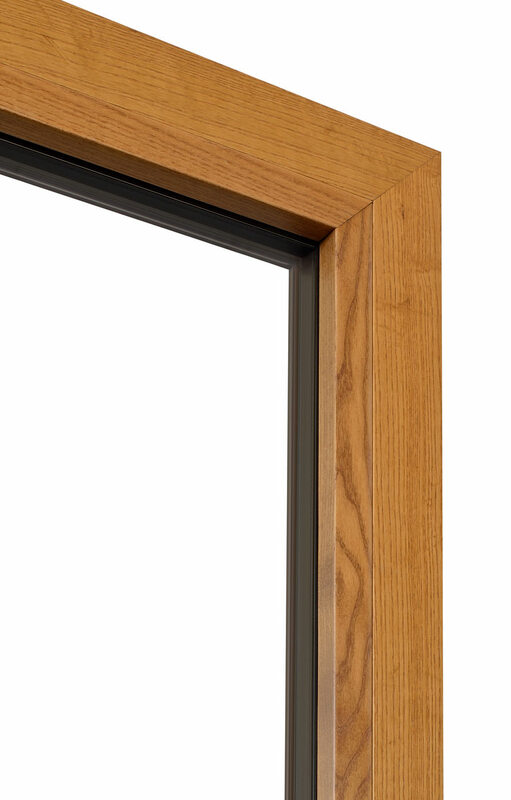 They represent a new window solution, a solution that is environmentally right. 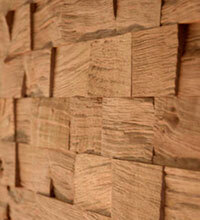 They represent an answer to energetic conservation, environment respect and house comfort. 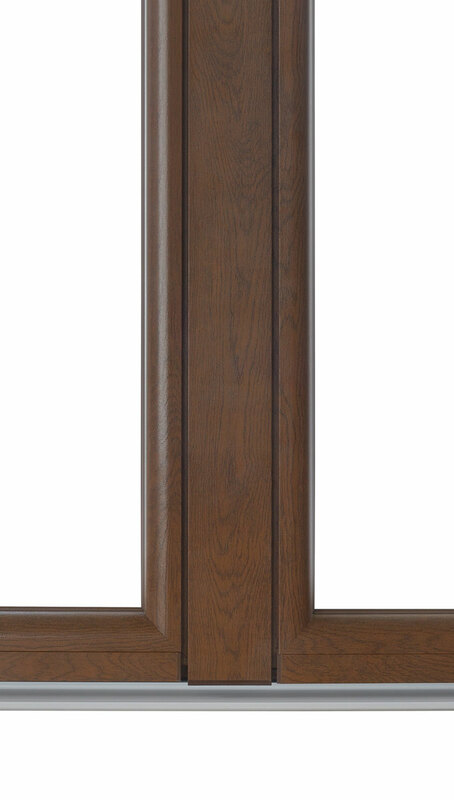 They represent a durable, reliable and environmentally solution. Design is flexible and sophisticated, that is the result of an attentive observation of consumer’s tastes. Gli infissi GRANDUCA HP e MARCHESE HP permettono di risparmiare energia raggiungendo alte prestazioni, anche nelle condizioni ambientali più ostili. Prestazioni termiche tali da permetterne l’installazione su tutto il territorio nazionale. Anche la scelta dei vetri può migliorare le performance secondo le esigenze di progettazione di spazi nuovi o da ristrutturare: circa l’80% del serramento è composto da vetro. 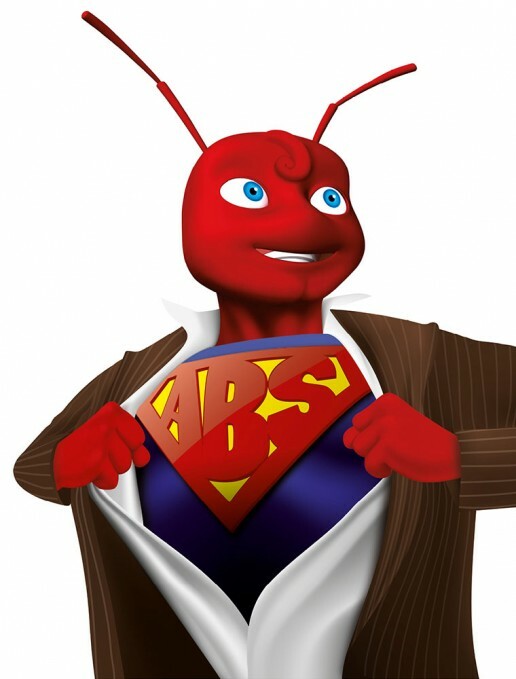 ABS is the acronym of a thermal polymer reached with the combination of three monomers: Acrylic that gives thermal stability, butadiene that increases push resistance and styrene that gives rigidness. It’s a technical material with high performance, with excellent mechanical characteristics and resistant to medium temperatures (110° C). It’s recyclable. 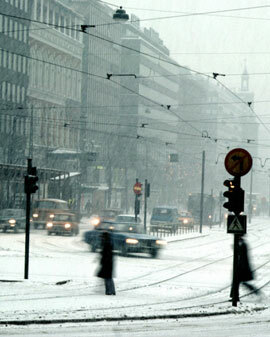 It has excellent technical properties: it’s a light, rigid and tough material even if there are cold temperature. 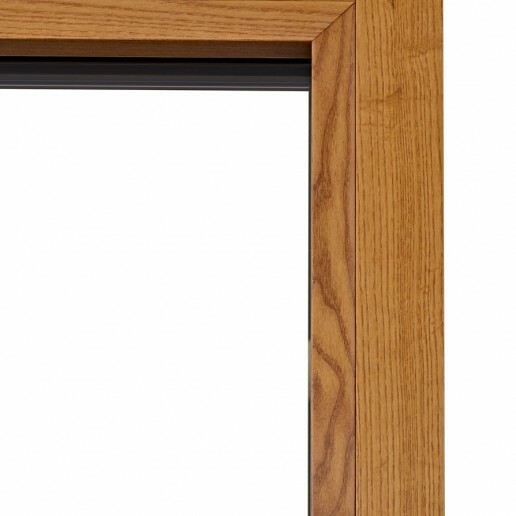 The use of this material guarantees the thermal transmittance reduction and sound insulation. 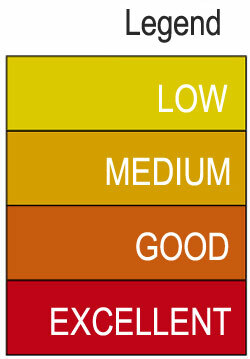 It is verified the structural holding of system and are testified some local areas. First phase. On the ABS profile on a particular section are made different solicitations. Second phase. 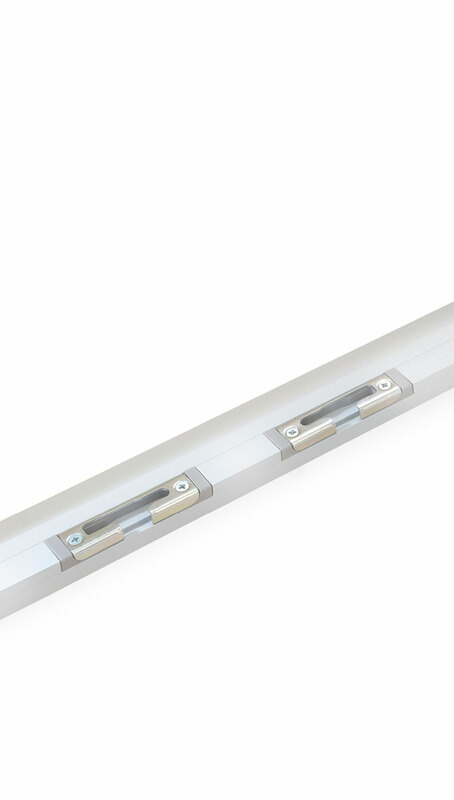 It is verified the holding of ABS door latches. Third phase. 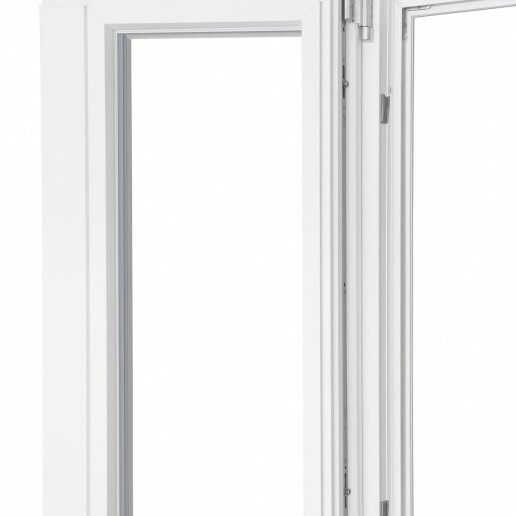 it is verified the whole window to 2000Pa pressure. All tests have exposed positive results. The test consists in drive in screws fixing- ironmongery and later to calculate necessary strength to extract them. The tests has exposed positive results. 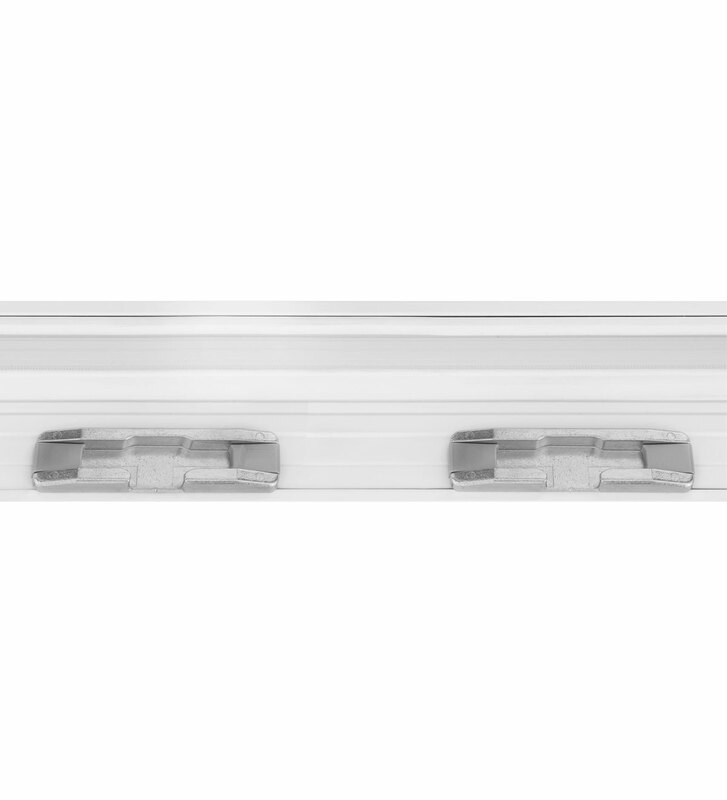 External profiles are realised in aluminium EN AW 6060-T6, with thickness and dimensional tolerance according to UNI EN 12020-2:2008 regulation. 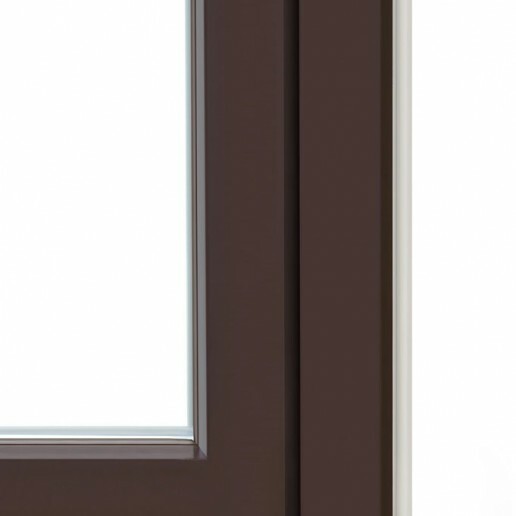 Profiles are treated by anodized finish, or painted with RAL colours or effect wood colours. 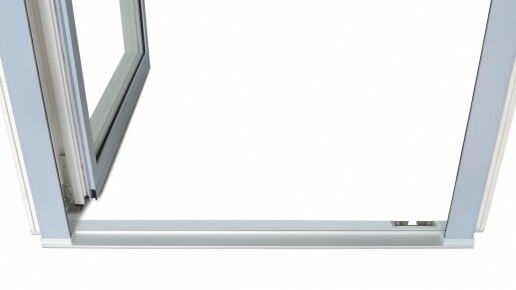 The connection between aluminium profile and ABS profile is realised by suitable place useful for giving hospitality to ABS profile. 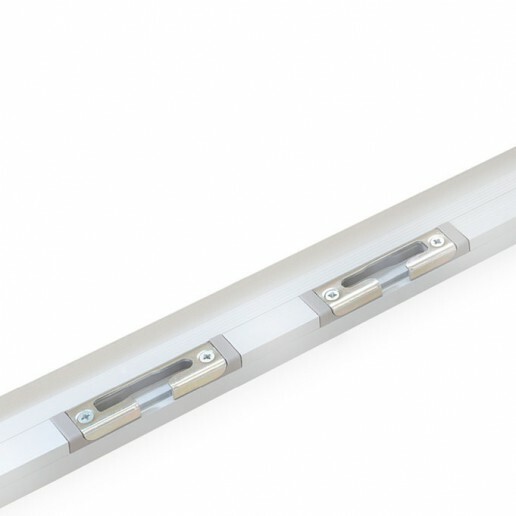 Assembly of aluminium external profiles and intermediate in ABS is made through a mechanic rolling, for guaranteeing a better resistance to running. 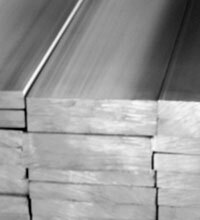 Wood profiles are realised with selected materials, treated with dyes resistant to light and ultraviolet rays.The finish is made with opacifying polyurethane materials, with a high degree of hardness. Angle junctions are made by 45° cut, glued with water-repellent and stainless-steel staples for hard woods, that is plugs in double groove in swallowtail for hard woods. Alternatively there are junctions with 90° cut (Granduca HP and Marchese Design) glued with water-repellent, wood soul, internal steel soul for strengthening gaskets. 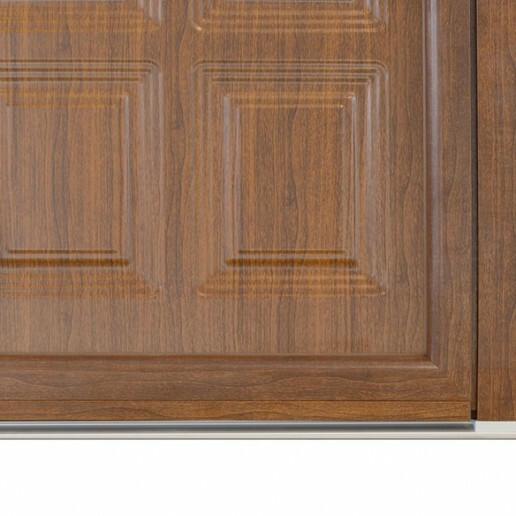 1 The visible part, realised in EPDM, is available in colours as black, brown and white. 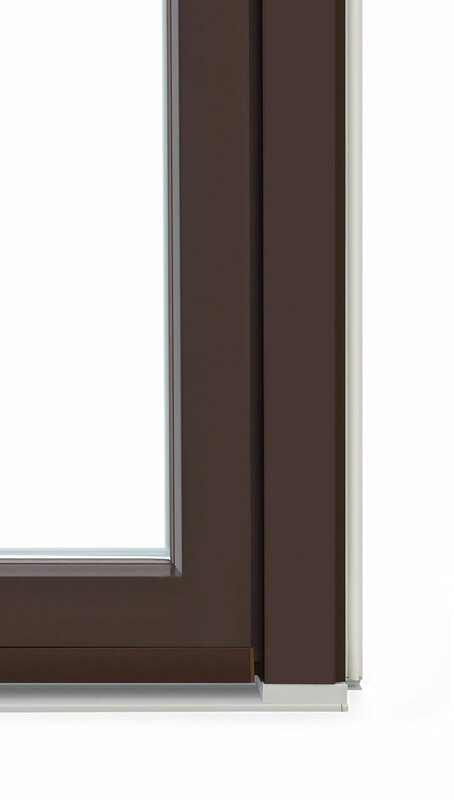 The connection base to EPDM profile is black. 2 The central open joint gasket is realized in elastomer thermoplastic welding and it is available in colours brown and white. The alveolate structure is planned for improving thermal holding. 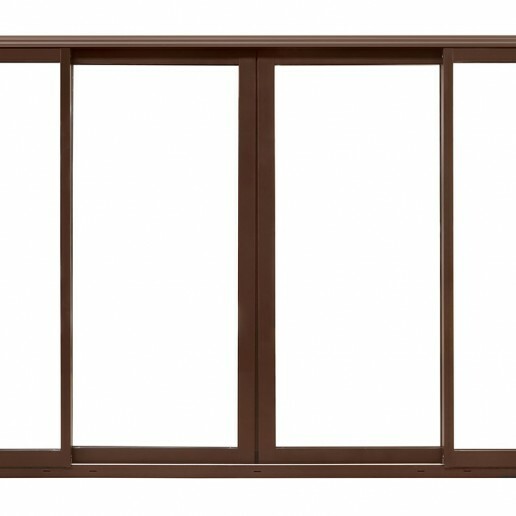 This structure is realized in vulcanized frame without any junction cut. The central gasket is arranged for covering fastening screws. Central coupler gasket on frame is present in two points. 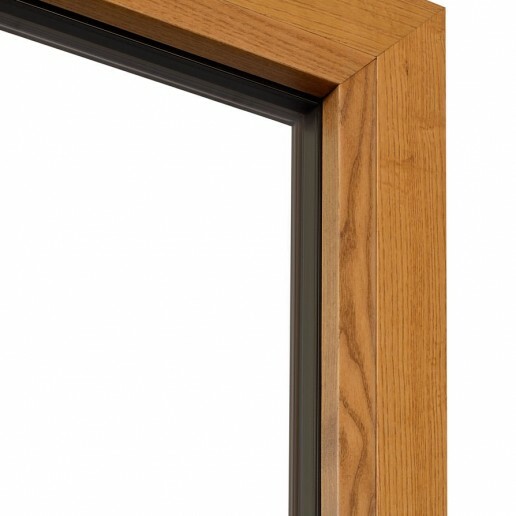 3 Wood profiles are modelled in order to support glass internal gasket in PVC in colours black, brown, white, ivory and transparent, that consents a pressure between double-glazing and profile. 4 The visible part is in EPDM in colours black, brown and white. 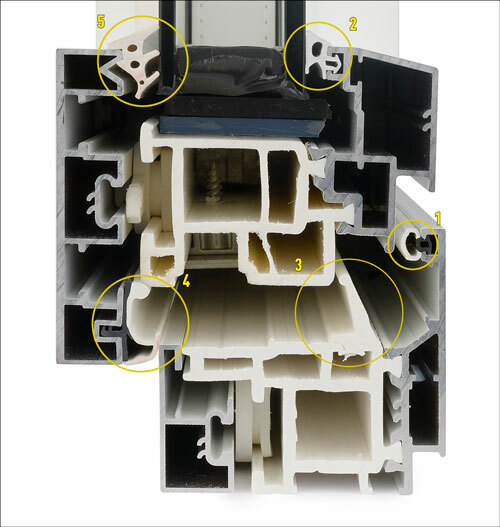 The connection base to profile is in EPDM is black; and also gasket extension is planned for improving product’s sound insulation. 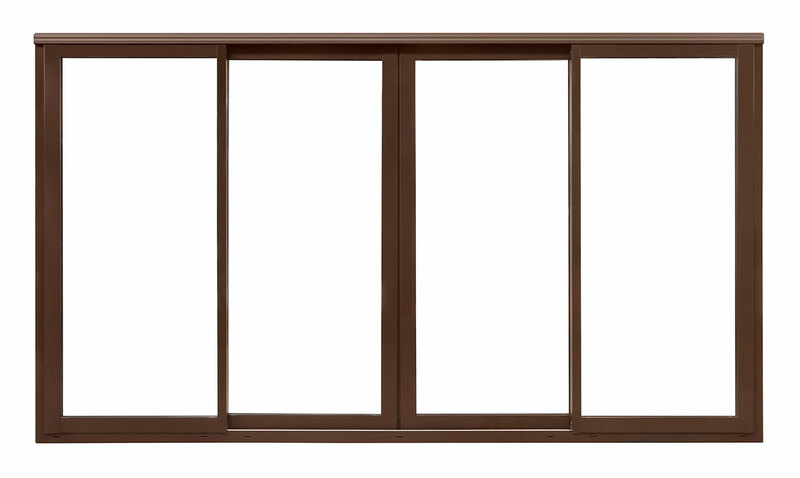 5 The visible part, realised in EPDM, is available in colours as black, brown and white. 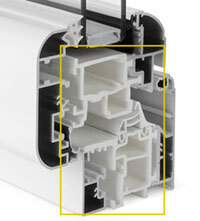 The connection base to profile is in EPDM is black. 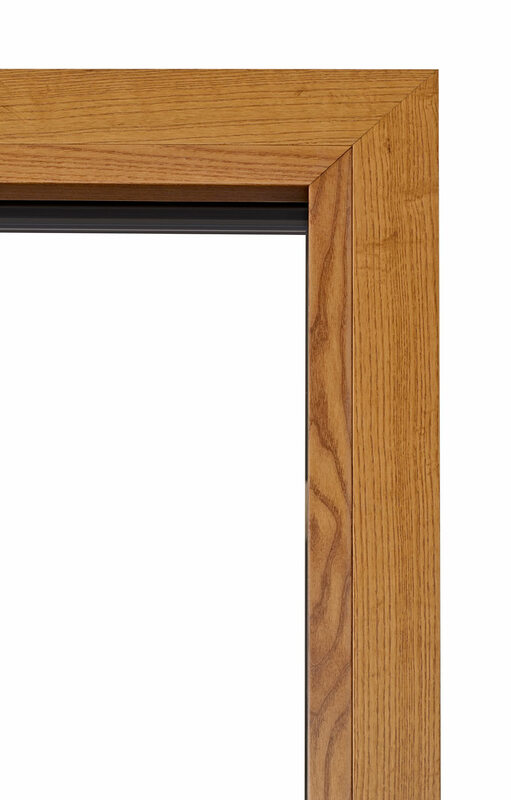 Windows are characterized by a system called open joint, guaranteeing by a central holding gasket. 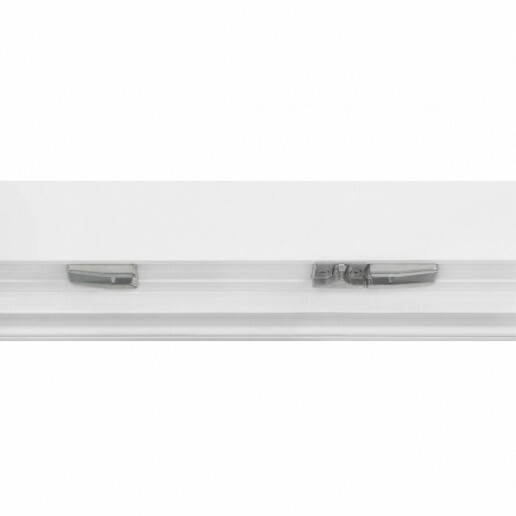 For all frames are made works necessary for guaranteeing water drainage near glasses and a rapid compensation of humidity and air in containment box. Central gasket is putted for covering fixing screws. 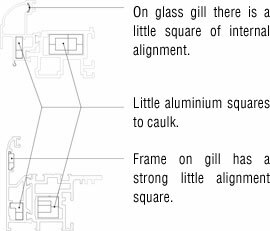 45° angle junctions aluminium-ABS are made thanks to little aluminium squares, characterized by a small ditch. 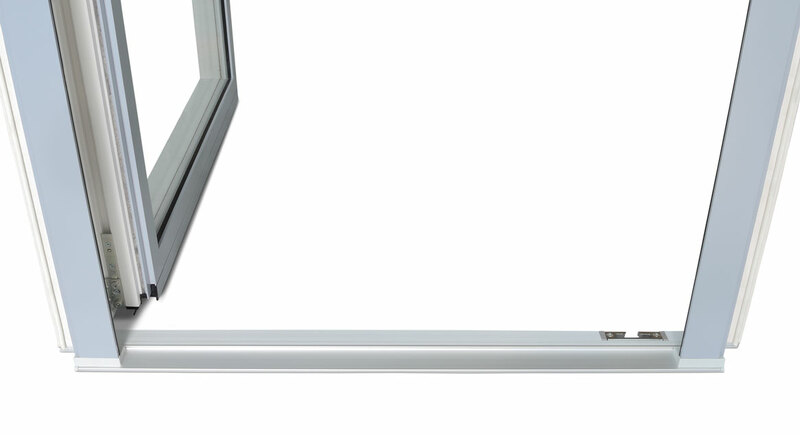 Profiles guarantee double-glazing insertion thickness max 35mm. 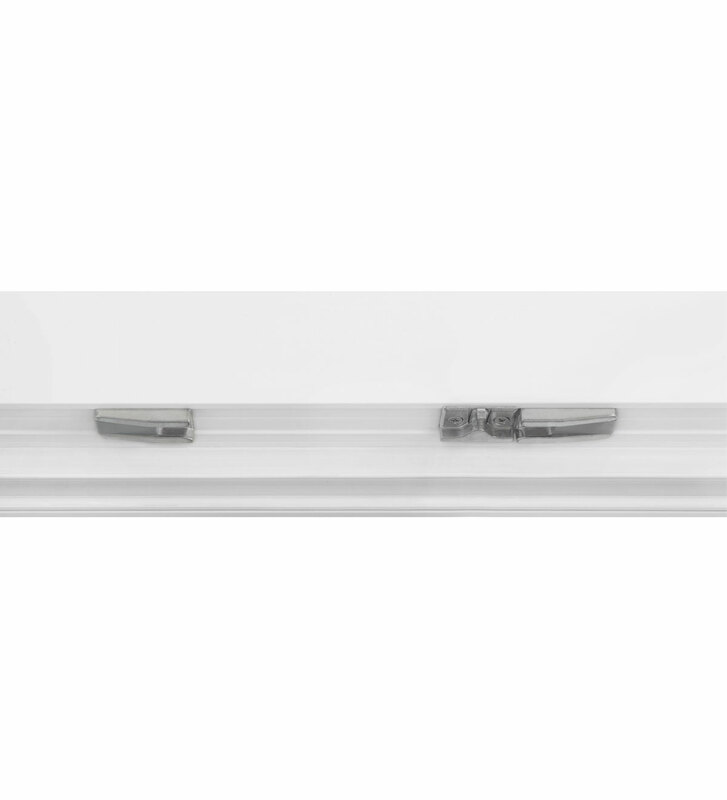 Window with double-glazing 5-25-BE4 low emissive, argo gas 90% and new thermal spacer. 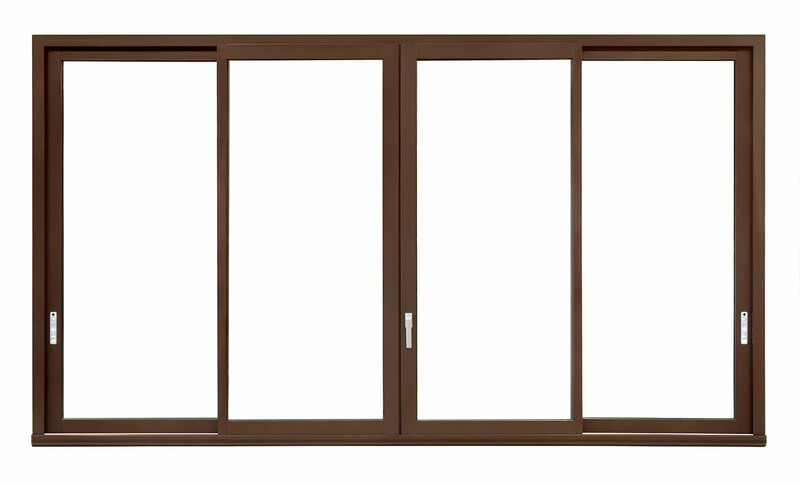 French window with double-glazing 4 BE-25-6/7, argo gas and new thermal spacer. 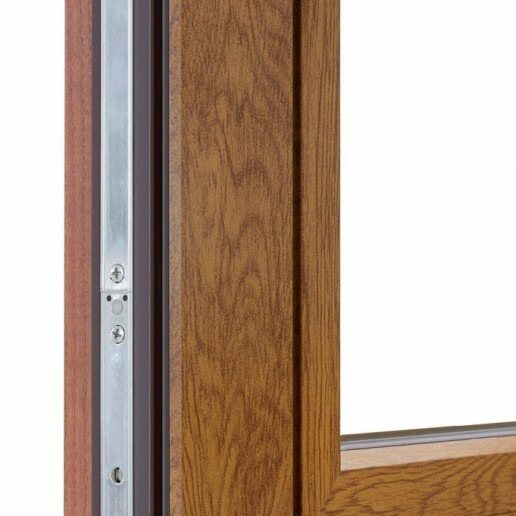 Double –glazing supports are realized with a length of 100mm and are planned in order to have the correct drainage and ventilation. Insulation gasket on floor is realised in EPDM, slightly rear for facilitating sealing. 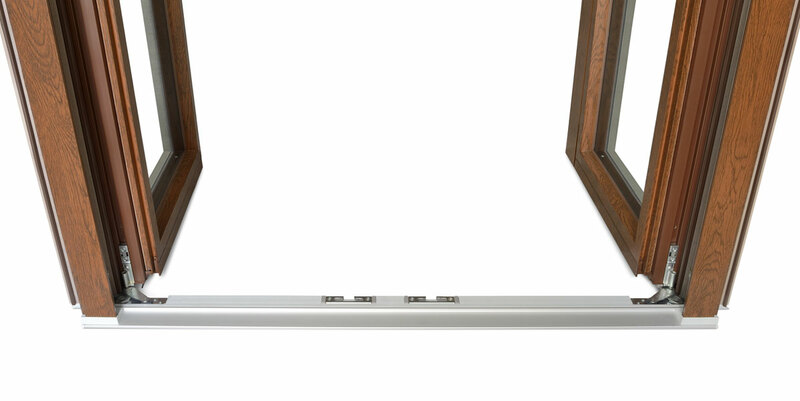 It is standard the technical ironmongery Silver finish and it is realised by a specific protection treatment not corrosion ACTIVEAGE, verify and certify by German body PIV. 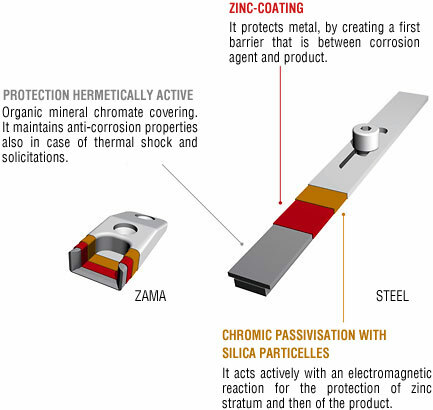 Very resistant to corrosion even if there are adverse environmentally conditions: saltiness, air pollution and humidity. RESISTANT IN SALTINESS FOG MORE THAN 2000 HOURS, compared to 800 hours. (Italiano) Nuovo fermavetro GRANDUCA HP con taglio 45°, complanare al telaio senza l'applicazione della guarnizione cingivetro interna. (Italiano) Nuovo fermavetro con taglio 45°, complanare al telaio senza l'applicazione della guarnizione cingivetro interna. Scorrevole 4 ante su 2 vie RAL 8017 opaco. Vista esterna. Scorrevole 4 ante su 2 vie RAL 8017 opaco, accessori Argento Satinato maniglia Toulon su anta principale, e maniglie ad incasso sulle laterali. Vista interna. Aluminium PVC reduced threshold with not forcing meetings, drip in color with lateral and central finish caps in color. Double inferior check with cover screws. Micro ventilation and double superior check. 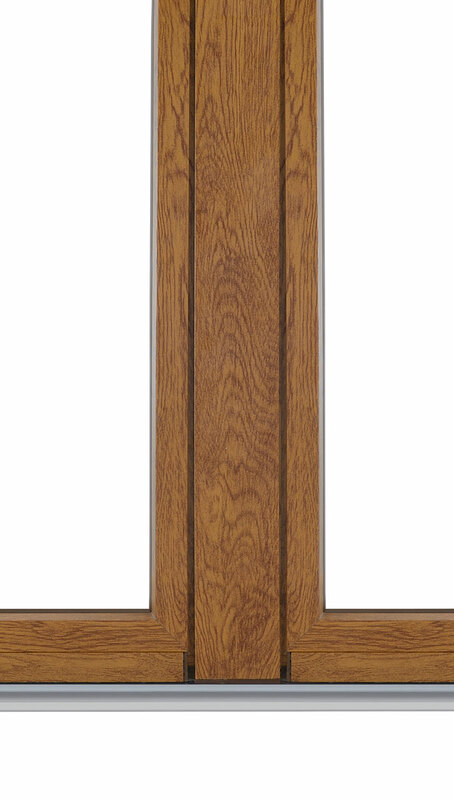 Lateral check both on principal and secondary door. Entrance door 1 door with aluminium drip. 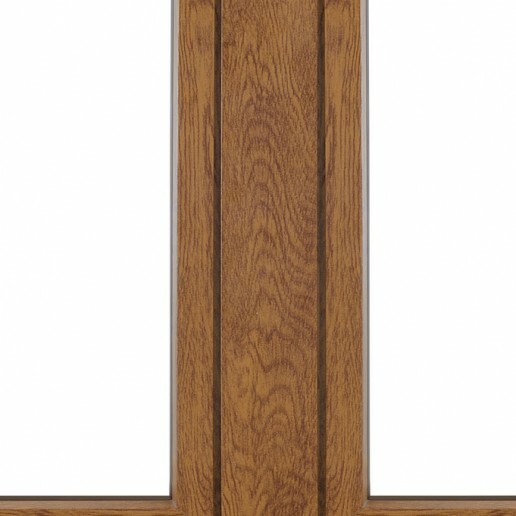 Detail reduced threshold in fixed with glass stop. External view. Entrance door 1 door with aluminium drip. 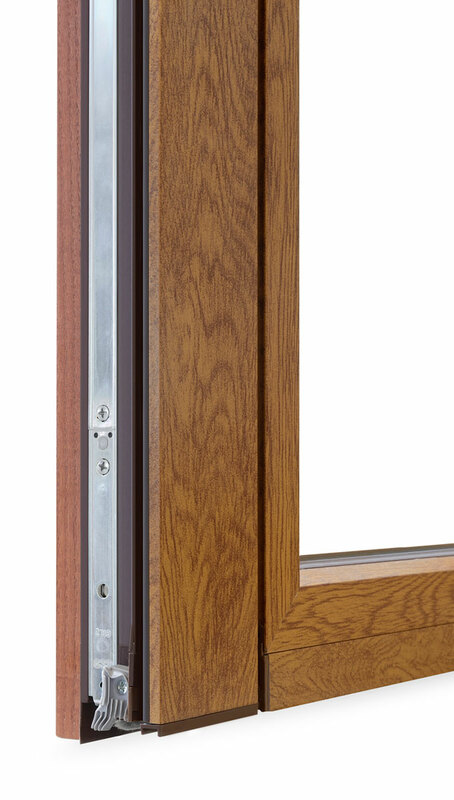 Detail reduced threshold in fixed with glass stop. Internal view. 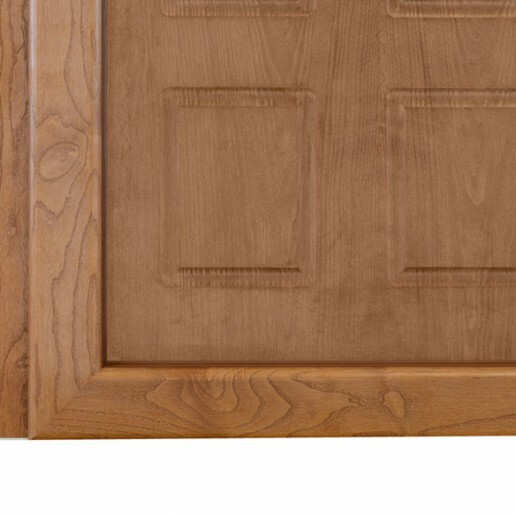 Oversize door coplanar with frame and drip. 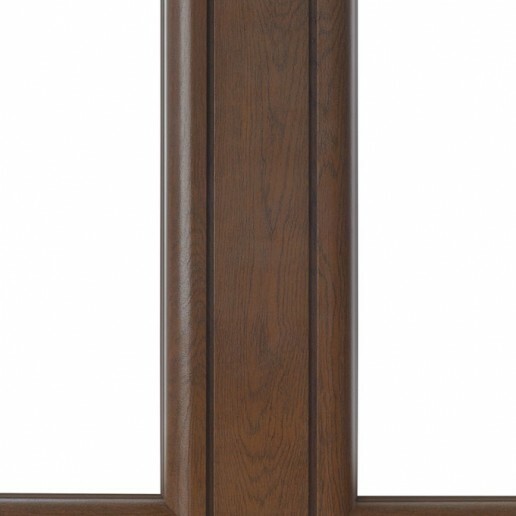 Central fill coplanar with drip and door. 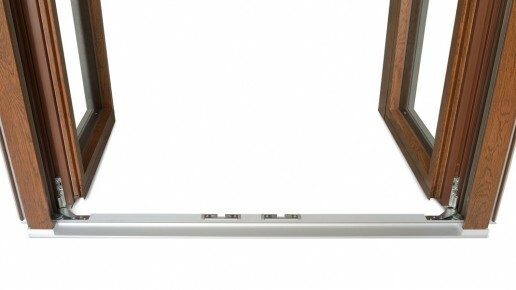 Coplanar central knot with terminal caps in color brown, available also white and black. Nodo centrale complanare con tappi terminali in tinta marrone. 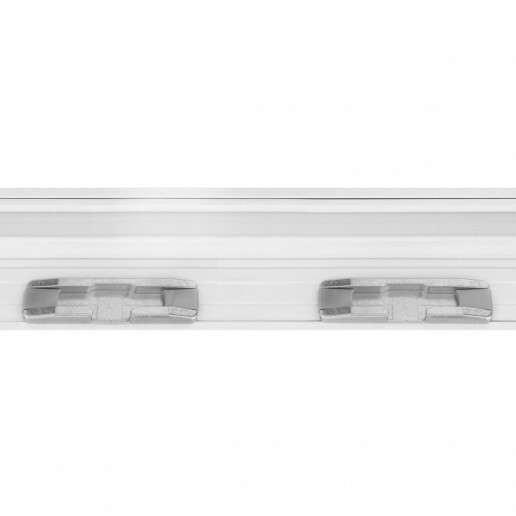 Disponibili anche bianco e nero.